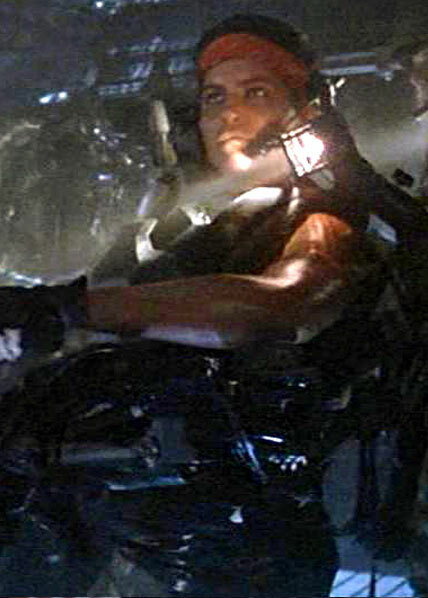 Private first class Vasquez in one of two Smart Gun operators in the squad sent to LV-426. She had a very gruff and aggressive personality that was hardened by years of being a woman in a very male centric combat group. While appearing to be a cool customer, she was often emotional and hot headed in the heat of a crisis and is more likely to act rather than think. She also was more than willing to forgo caution or rules if it meant protecting her squad. After surviving both attacks by the aliens, she sustained injuries slowing down her escape. Lt. Gorman attempted to help her, however after becoming surrounded, they committed suicide with a grenade rather than be taken by the aliens. If during combat Vasquez falls into an incapacitated state, the player can opt on that turn only to detonate a grenade as a final suicidal act.